One of the most eye-popping Jordan Brand shoe, the Jordan Flight TR ’97, is set to take off and is expected to impress once again next month. 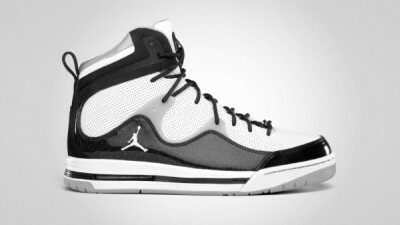 The Jordan Brand announced the release of the White/White-Black-Wolf Grey colourway of the Jordan Flight TR ’97 this May 2011, which is expected to turn heads on the streets once again. Featuring a white perforated leather on the upper part accented with Wolf Grey colors, the new Jordan Flight TR ’97 is a must-buy and you’ll never regret it.